Perfect for a bar, restaurant, cafe, food truck, bistro, coffee shop or similar, Cafe is a premium Divi child theme that is sure to create a truly scrumptious online presence. Great for brands or businesses operating in the hospitality, food or beverage industries, the Cafe child theme for Divi boasts a number of exquisitely designed core pages and beautiful blog feature. 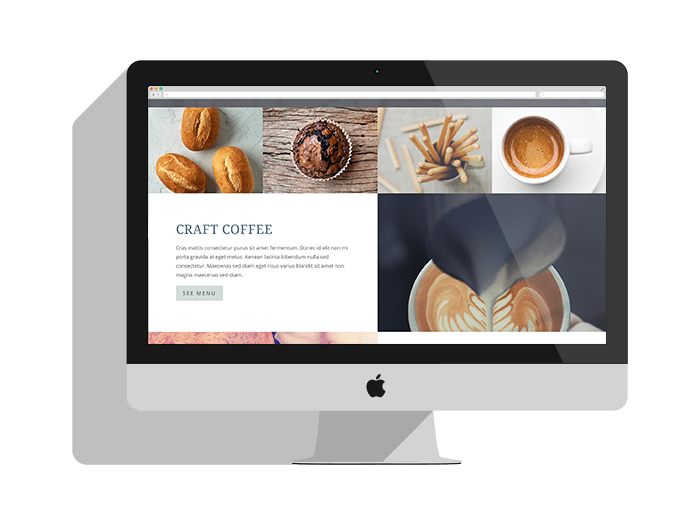 The Cafe child theme for Divi is WooCommerce ready, and too, includes a number of premium features including a Login Customizer, a 404 error page, and the Aspen Footer Editor plugin. 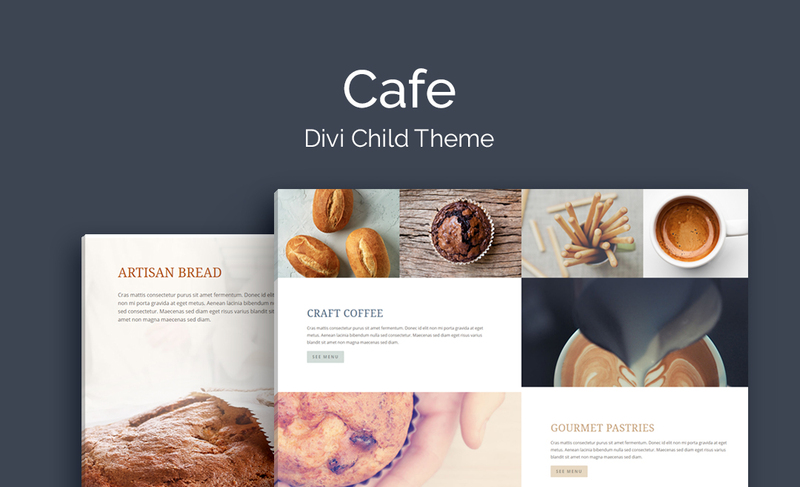 Designed by Kenny Sing as one of Elegant Theme’s Divi demo sites, Cafe has been reverse engineered, expanded and built ground-up into a fully functional Divi child theme. As well as exquisitely designed core pages which include a menu display, 3-column blog page, contact page and a gallery showcase, Cafe comes complete with e-store functionality, seeing the Woo-Commerce-ready theme fit perfectly for a range of food and beverage clients wanting to sell related products online. 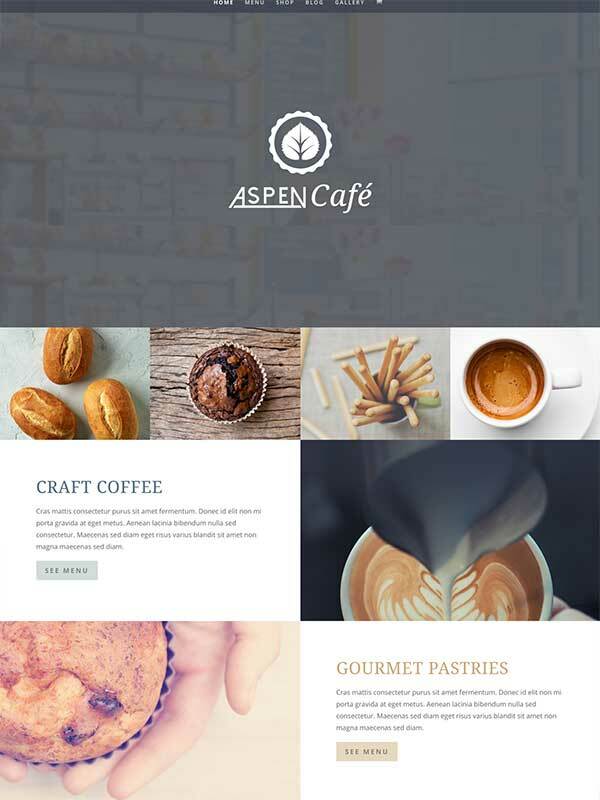 The Cafe Divi child theme includes a range of premium features including the Aspen Footer Editor (to style out a site-wide footer area), Login Customizer (to customize the default wp-admin login page) as well as a 404 Error Page template settings (to create an error redirect page). Note: Due to legal reasons, the Cafe child theme makes use of placeholder imagery and not the exact images as displayed in the demo. If you would like to make use of the imagery included in the product demo, please perform a reverse image search and purchase the desired images accordingly.